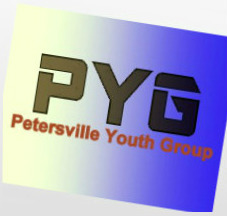 Welcome to the Petersville Church of Christ Youth page! We are very excited that you have taken the time to visit us and we hope that you will feel free to explore our other pages as well. We have made the Senior Youth page to give you a quick introduction to what we are like, as well as a Junior Youth page with the same purpose. We also have a Lads to Leaders page explaining a few things about what we have taken from the program. Lastly, we have compiled a list of activities we participate in and have created ourselves, so I hope you will take a look at that. 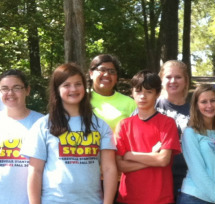 We are a group that ranges from 2 year olds-12th graders and are lead by our fearless leader Dustin Culberson! We pride ourselves on the unity and friendship that we develop more and more every day. That is why we call ourselves ATOMA, which is greek for indivisible. 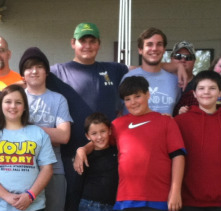 We have the ability to get to know people outside of our age groups through different activities, but we also have the opportunity to just hang out with kids in our age circle. We enjoy getting to have things like Kids Day where the younger kids get to have a bible class of sorts while the older kids get to establish a better relationship with the kids involved. The whole church truly can be ATOMA if they just follow Christ's example and live in love.